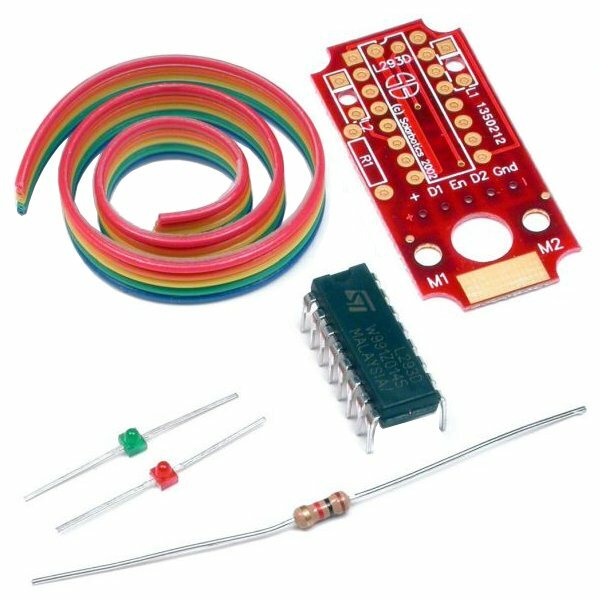 The L293D Secret Motor Driver Electronic Kit is designed to fit inside a standard servo or anywhere that is small motor driver is required. 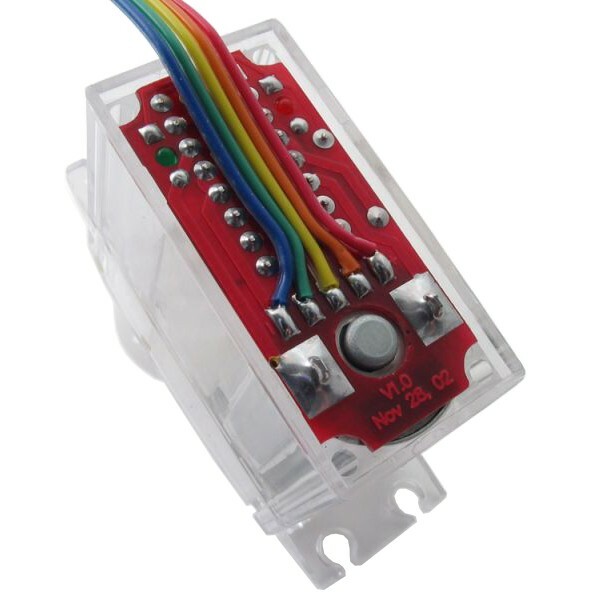 This L293D motor driver kit has a circuit board that fits inside many standard servos. It fits perfectly inside the GM4 Gear Motor with Clear Servo Body with the status LEDs fully visible. It can also be made breadboard compatible for easy prototyping or wired directly to your robot project. The Secret Motor Driver can be used to drive a variety of small DC motors. The L293D dual h-bridge motor driver chip is wired up to provide up to 1.2A to a single motor operating from 4.5V to 36V. 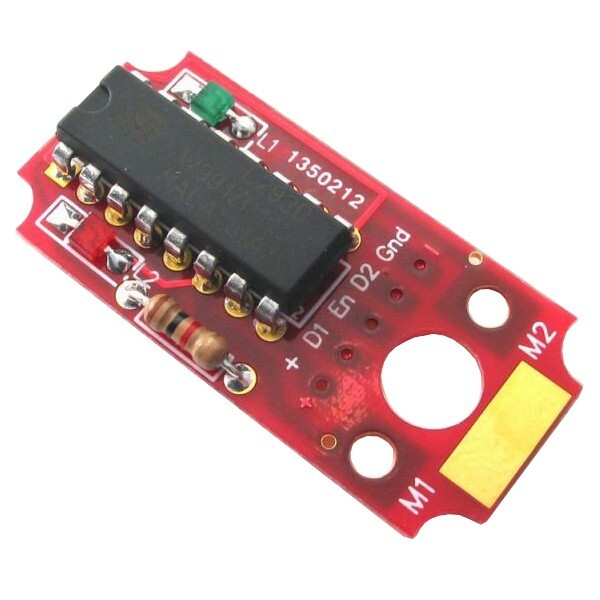 The Secret L293D Motor Driver is an electronic kit that requires basic soldering skills.